The Emirates Nuclear Energy Corporation (Enec) has taken a step further with the completion of installation of the condenser at its first nuclear energy plant in Barakah. 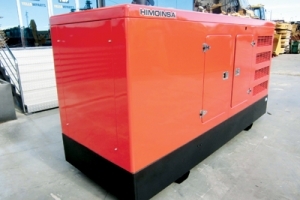 Himoinsa has highlighted its hybrid power generation systems can reduce diesel consumption by 30 per cent. As well as its know-how in diesel and gas generation, Himoinsa boasts expertise in the design and start-up of power generation plants including hybrid projects, mainly for supplies that require a power range from 0. SAUDI-based Acwa Power has awarded contracts to a consortium of EPC majors Acciona, Sener and TSK to build the Noor 1 160 MW CSP plant in Morocco and Bokpoort 50 MW CSP plant in South Africa. Dow Chemical has been selected to supply the heat transfer fluid for both projects.